Pompeii is riveting. Buried in ash when nearby Mt. 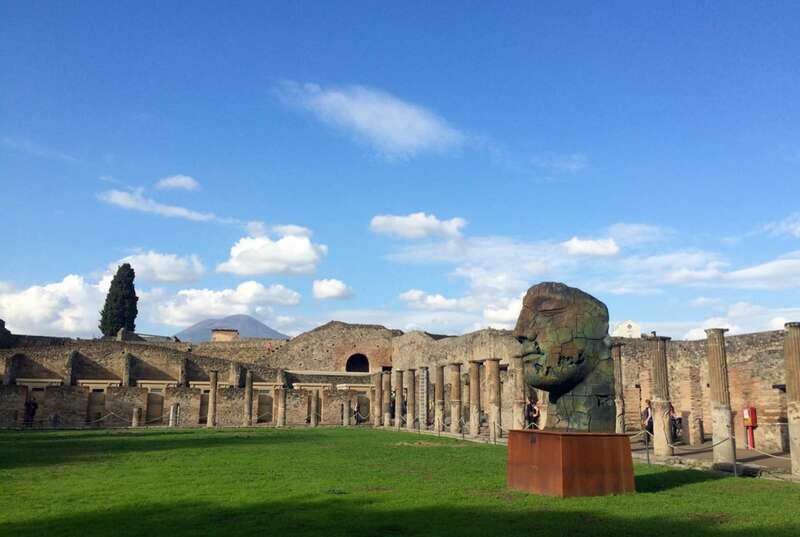 Vesuvius volcano exploded in 79 A.D., this wonderfully preserved ancient Roman city ranks as one of the most important archaeological sites in the world. 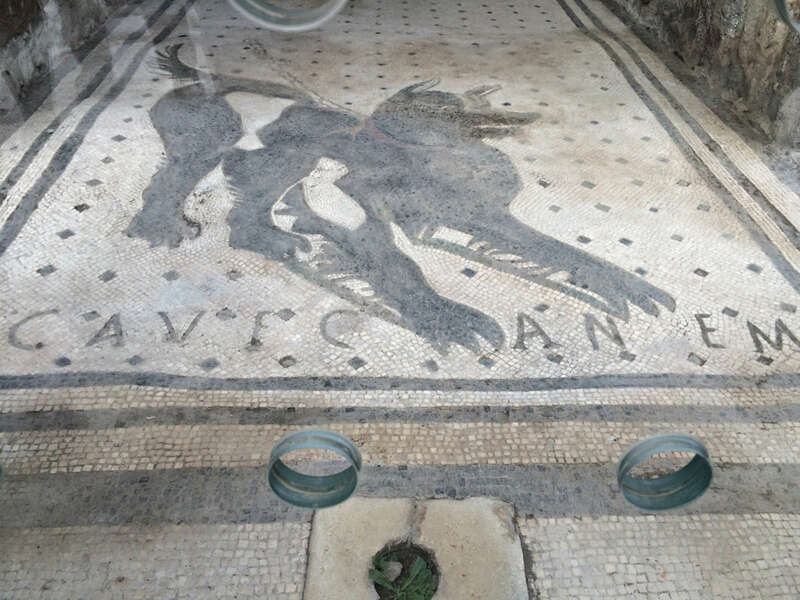 In this Pompeii tour, a day trip from Rome, we'll join a local archaeologist or classical historian for an in-depth tour of Pompeii coupled with a visit to the Naples Archaeological Museum, where many of the artifacts from Pompeii have been stored. 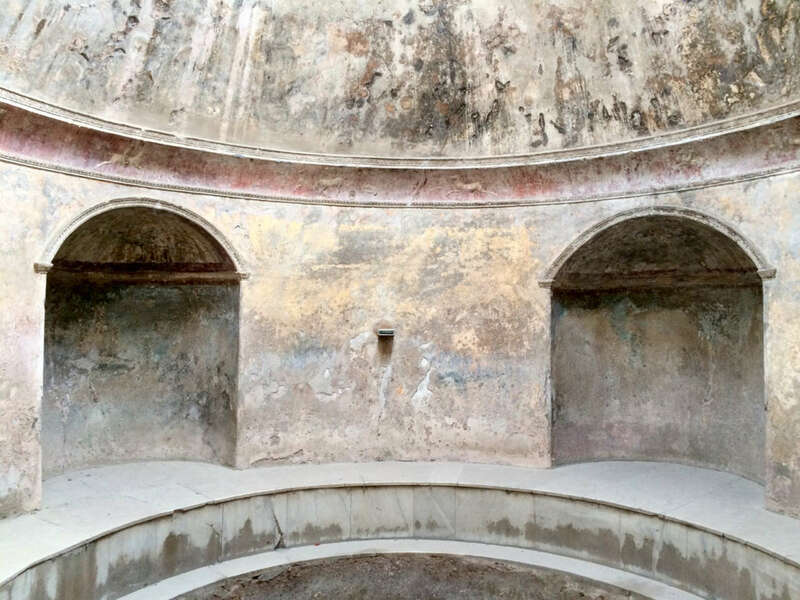 For those visiting Naples, we offer both a half-day Pompeii Tour and a full-day private Mount Vesuvius Tour, a private-only tour that can be designed around your interests. We'll begin with a first class train ride from Rome to Naples, the easiest and most expeditious way to travel the majority of the distance. 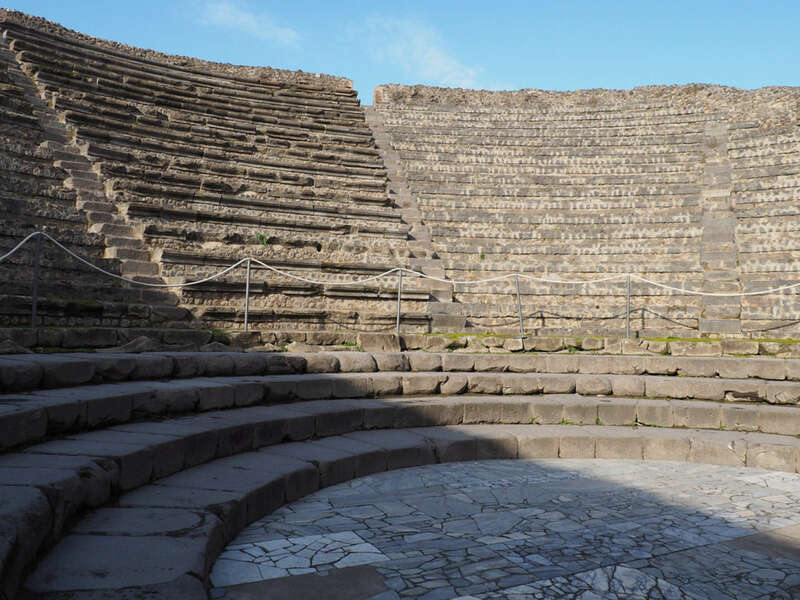 Once in Naples we'll met our docent, hop in a private car, and be whisked to the archaeological site of Pompeii, where our day truly begins. 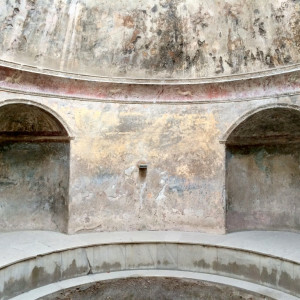 Upon arriving Pompeii we will spend about 3 hours exploring the site, walking the ancient roads, stepping into private homes frozen in time, and spending time in the shops, baths, and theaters where Romans lived 2000 years ago. 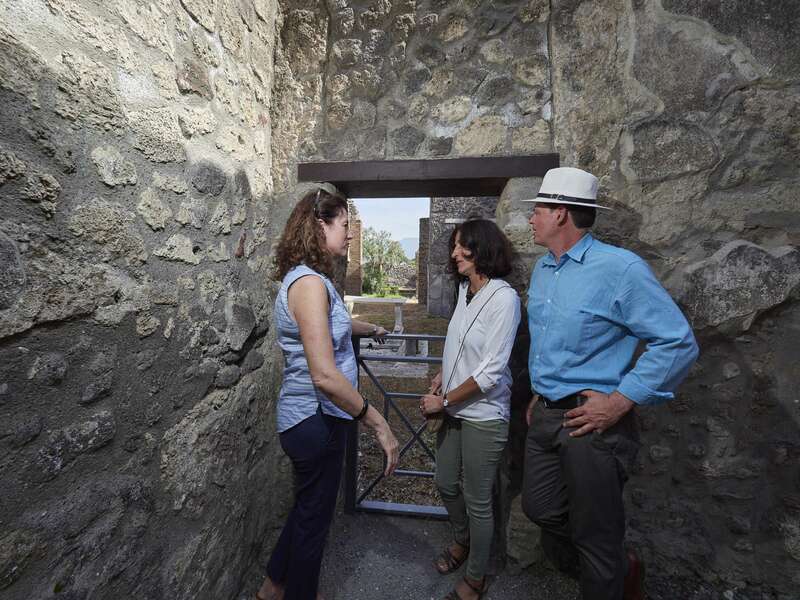 Along the way our docent will focus on everyday life and, using the amazingly well-preserved ruins around us, paint a portrait of the complex social, political, and economic world in which Roman citizens lived. 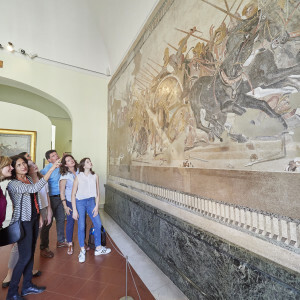 Taking cues from our surroundings, we will delve into aspects of religion, gender roles and commerce, paying special attention to the construction and decoration of private homes, most notably the magnificent frescoes of the Villa of the Mysteries. The moving remains of the desperate inhabitants attempting an escape from impending doom create an immediate and emotional experience. Leaving Pompeii by early afternoon, we will return to Naples by car. Our first stop will be a small, local restaurant in the city center where we can grab lunch and debrief on what we've seen so far. 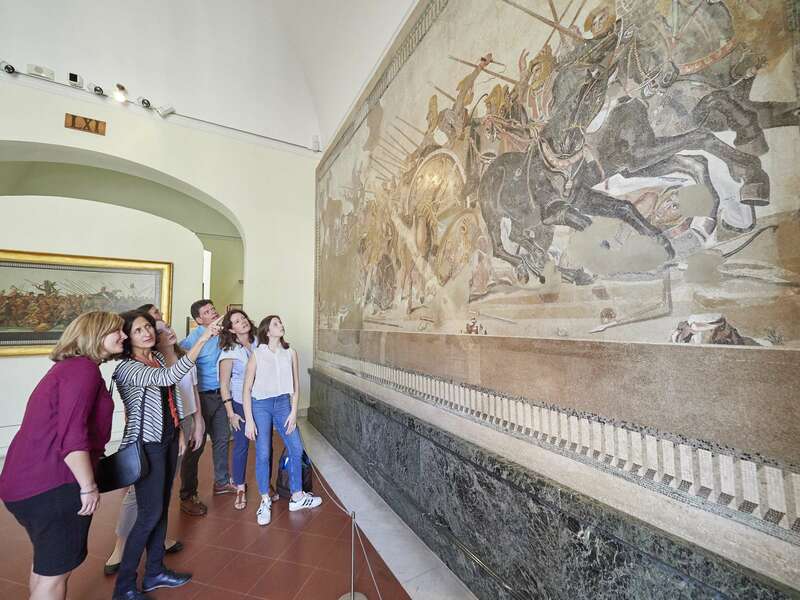 Next, we'll take a short stroll through Naples on our way to the famed Naples Archaeological Museum, one of the most important museums of ancient history in the world. 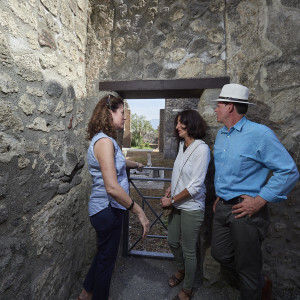 It is here where many of the statues, paintings, and other artifacts excavated at Pompeii are stored, making it a critical component of any day trip from Rome to Pompeii. Following the lead of our docent, a native Neapolitan, we might stick our heads into a church or two, or stroll down an enigmatic alley of this rich city. (Note, we run an entire program of Naples Walking Tours that include a Naples Food Tour and a Naples Underground Tour. 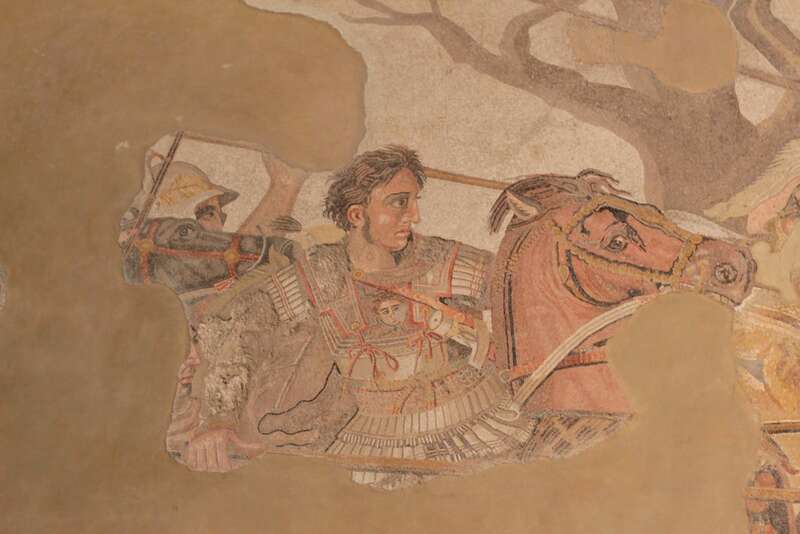 Please Note: During the course of this excursion, you will be responsible for the entrance tickets to the Archaeological Museum (Euro 15 per person). You will also be responsible for lunch during the day. Train Tickets:The meeting point for this tour is at the Naples train station. 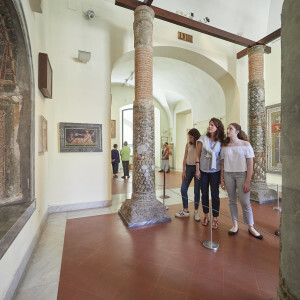 However, train tickets to and from Naples are not included in the price of this excursion and must be purchased separately. The Rome-Naples train you need to take leaves Rome at 8:48 am, while the return train you need to purchase tickets for is the 5:58 pm from Naples, which arrives in Rome at 7:08 pm. The train schedule changes dramatically during the weekend, so please check with us for alternate times if you plan on booking this excursion during the weekend. Clients have three options for purchasing train tickets. 1. Purchase tickets from outside vendor (travel agency, directly at any Italian train station, etc.). If pursuing this option please remove the tickets during booking. 2. Leave in your cart the appropriate train tickets to your order with us, if you are purchasing the tickets yourself, you can unclick these in your order. 3. Add a note to this tour request (in the "Special Interests" box) that you want tickets (and class type) and we'll add them to your order for you. Traveling with kids? 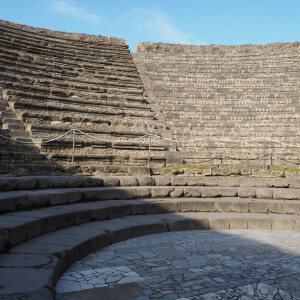 Check out our Pompeii for Kids Tour that includes games and fun activities. Is the cost of lunch is included in the full-day Pompeii excursion from Rome?No, you'll be responsible to cover for the cost of lunch for you and the guide. I plan on purchasing my train tickets separately, at what time should I book them? The tickets you will need are the 8:48 am Alta Velocita' train from Rome to Naples and the 5:58 pm Alta' Velocita' train from Naples to Rome (the schedule is different on weekends - please contact us for the best trains to take if booking this excursion on a Saturday or Sunday). 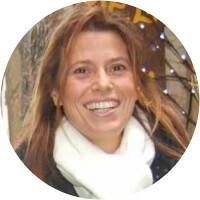 Fiorella holds a degree in modern languages and is a specialist in art history and Neapolitan culture and art. 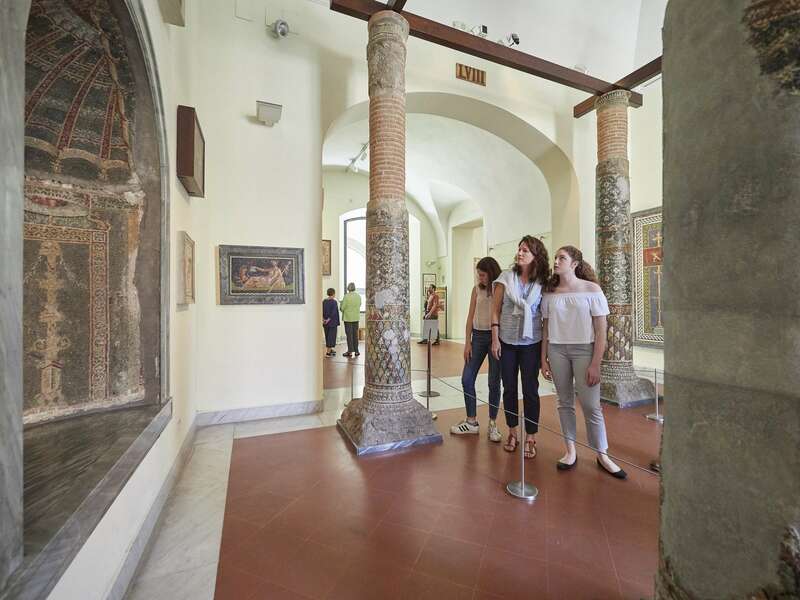 She works with the main museums of Naples as a member of the educational section. She also works closely with Friends of Museums from abroad. Fiorella is the president of the cultural association "Fine Arts", which organizes private viewings and themed routes in Naples and Campania, cocktails and visits to stately homes and private collections. She writes about Naples and Campania for a popular guide book and is the author of a guide to Neapolitan art and architecture called "Naples in 3 days". 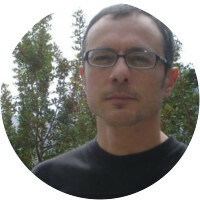 Alberto is an expert on Neapolitan life, culture and history. He has lived and studied in London for four years. After a decade of experience as a swimming coach, in contact with international level athletes, in 2007 he began working with the cultural association of Fine Arts as a tour guide on Naples, Capri, the Amalfi Coast, Ischia and Procida. 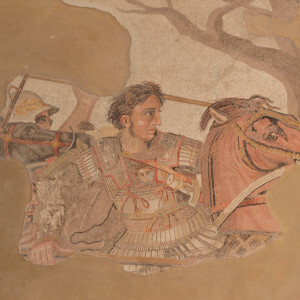 He is an official guide in Campania and loves to lead visitors to the Archaeological Museum, Pompeii, Herculaneum, Oplontis, Stabiae and Phlegrean Fields. He also leads small groups through unusual itineraries away from the crowds on Capri and the Amalfi Coast. Over the years, he has developed a great passion for local cuisine and now organizes cooking classes and tours related to the food and wine of the Campania region. In his spare time he likes cycling with like-minded enthusiasts to discover the typical places of historical and scenic interest. 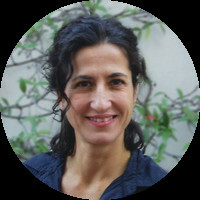 Roberta is based in Naples and has a degree in History of Art from the University of Naples. She specialised in Cultural Heritage Conservation at postgraduate level at the Università degli Studi Suor Orsola Benincasa. 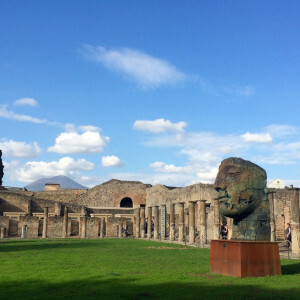 With the aim of raising awareness of cultural heritage, especially among students and children, she professionally trained as a licensed tour guide for her hometown of Naples, for the archaeological sites around Mount Vesuvius and the Phlegraean Fields and for all the sites and museums in the region where she lives. She has also specialised as a tour guide for the blind. Roberta looks forward to sharing her passion for art, culture, and the Neapolitan lifestyle with visitors on Context tours. She loves food and is always ready to smile! Wonderful trip! Riccardo was very knowledgeable and patient when I stopped to take photos and asked questions. He gave us a true Napoli experience, walking the narrow streets and lunching in a local restaurant. 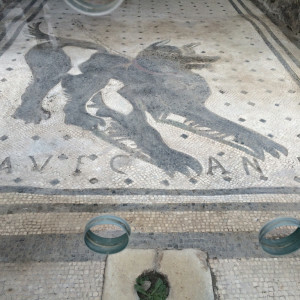 Then on to the museum to see the mosaics and bordello scenes from Pompeii. Very tiring but well worth it. Only problem is the lack of clarity for the train trip. You should send vouchers so people know the train ticket is verified. Everything was so well organized in terms of the logistics of the day which allowed us to really enjoy all of our time and learning with Roberta. She was wonderful! Riccardo was wonderful!! The tour of Pompeii itself was fascinating and he was extremely knowledgeable about many small details that brought the site to life for us. We went to lunch at a restaurant he suggested that served a local specialty and that was great fun. This was followed by a stroll around old Napoli and then a really wonderful visit to the Archaeological Museum. Riccardo was friendly, flexible and great fun to spend time with. Thank you!